in Blakely to gather material for a larger project being developed for a special presentation. will be assisting with stills and second unit services during filming. KEN BROWNE - Ken Browne Productions - New York City. Since 1986, Ken Browne Productions has been an Emmy Award winning resource for broadcast television programming, and contractor for award winning corporate and institutional video/film products. The firm’s many clients have ranged from the New York Yankees to the NYC Department of Education. Ken Browne’s interest in the cultural heritage of American studio crafts and fine arts/design found expression in the 2001 documentary Four Hands One Heart: Ed and Mary Scheier – a co-production with the Currier Museum of Art, NH, and the University of New Hampshire. This film profile of the major 20th century American studio pottery couple, was first broadcast on NH Public Television, and presented to a national PBS audience through American Public Television. (see www.4hands1heart.com ) Called “ a touching portrait” by American Craft Magazine, Four Hands One Heart: Ed and Mary Scheier continues to air on over 150 PBS stations and in Canada, and the film has been screened at major museum events around the US. In 2007, NHPTV premiered A League Of Our Own: New Hampshire And The American Craft Movement, a one hour documentary by Ken Browne on the 75th anniversary of the pioneering League of NH Craftsmen, which commissioned the film and collaborated on funding, content, and promotion. 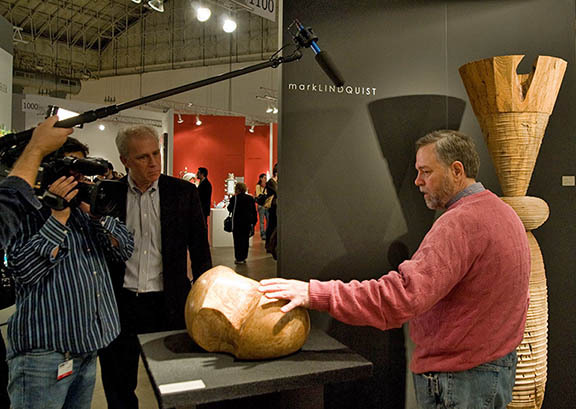 In 2008, Ken Browne joined the production team for ICONS: A TRIBUTE TO MEL LINDQUIST, a major exhibit at SOFA Chicago, presenting new work by major wood artists, influenced by the pioneer Mel Lindquist, including Mark Lindquist, David Ellsworth, Gary Stevens, Giles Gilson, Stoney Lamar, and Howard Werner. Ken Browne directed HD filming of the event for the short documentary, ICONS, and eventual history film about the wood-turning/wood sculpture field. In addition to Emmy awards, Ken's work has been recognized with a Silver Telly Award, New York Festivals Award, and the U.S. International Film and Video Festival Award for Creative Excellence. Ken holds degrees from Brandeis University and Yale University. during the ICONS: A TRIBUTE TO MELVIN LINDQUIST exhibit, in Chicago, 2008. 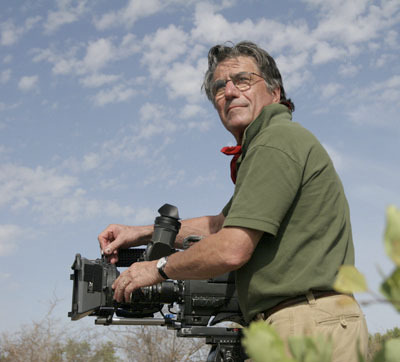 Gregory Andracke has been a cinematographer for 40 years, filming award winning documentaries, commercials and industrials, as well as dramatic films for television. Programs that he photographed have been nominated three times for an Academy Award and won the Oscar twice for best documentary. He is the recipient of six Emmy Awards for outstanding cinematography. Eastman Kodak honored Greg’s work with the “Outstanding Photographic Achievement Award”. and most recently, Taxi to the Darkside, winner of the 2007 Oscar for Best Documentary. His diverse credits have taken him around the world: The Killing Ground for ABC, Schwarzkopf in Vietnam: A Soldier Returns for CBS Reports, and The Popes and Their Art, Jelly’s Last Jam, Duke Ellington, Vladimir Horowitz, Wynton Marsalis & Kathleen Battle and summer concerts at Tanglewood. 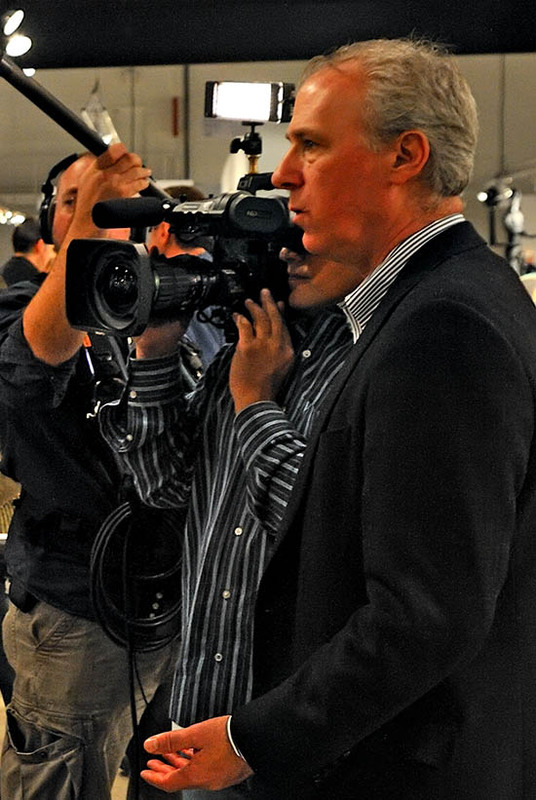 His flexibility in style enables him to film hard news events for CBS 60 Minutes and PBS Frontline as well as more stylized commercials for Hackensack Medical Center, Tyson’s Chicken, and IBM. Greg was formerly a member of the National Academy of Television Arts & Sciences and a former member of the New York Television Academy. 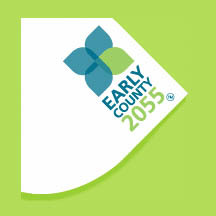 Also formerly a member of its Board of Governors. During his first career in the theater, Australian-born Terry Martin traveled the world working in prestigious venues such as the Metropolitan Opera House, New York, and the Paris Opera. He has worked with such companies as La Scala Opera, Milan, the Royal Ballet, London, and Kanze Noh Theater, Japan. such as the Detroit Institute of Art, the New York Museum of Art and Design, and the Kinkakuji Temple Collection, Kyoto, Japan. Terry's first book, Wood Dreaming, was published in 1995 and his most recent, New Masters of Woodturning co-authored with Kevin Wallace, was released in 2008. Since 1991 he has written over 200 articles for journals and magazines in 7 countries. For 7 years he was Editor-in-Chief of the wood art journal Turning Points, published in Philadelphia and he has been a contributing editor to three other journals. 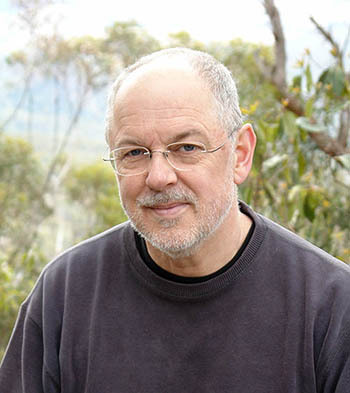 Terry wrote the landmark historical catalogue for the SOFA Exhibition, Icons, in November 2008. "It is a privilege to be involved in the Blakely Burl Tree Project," says Terry. "I am amazed by the Rice family's vision for the rejuvenation of a part of the United States that means so much to them. This project will bring a unique creative focus to their dream. I am particularly pleased to work once more with Mark Lindquist, a man of extraordinary vision and talent, and the team he has gathered. As we watch this project unfold, I know we will be part of something that has never happened before and will probably never happen again." 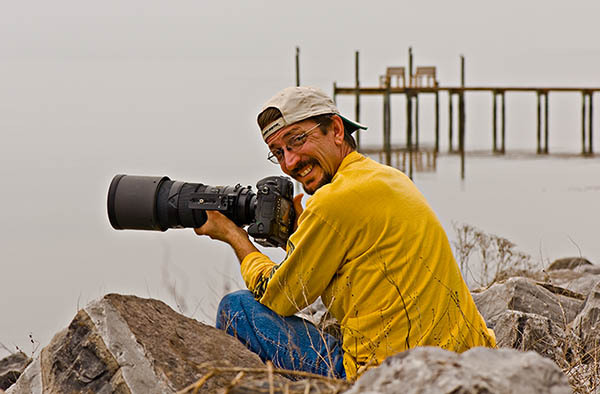 John McFadden is resident photographer and current Lindquist Studios assistant. John has worked intermittently with Lindquist Studios over the past five years on several projects, and recently John and Mark collaborated on the photography for the catalog for the Icons tribute exhibition that was printed in Hong Kong. 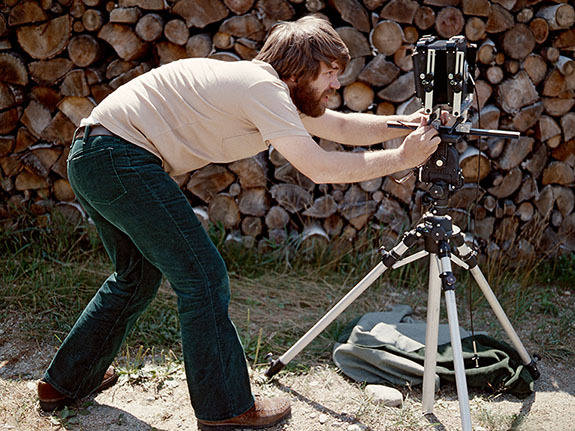 Specializing in studio work and documentation photography, John's photos were featured in Ken Browne's film documentary of the ICONS exhibit in Chicago in 2008. John's work has been widely published and he is known for his his steam locomotive photography. John worked in the music industry as a sound engineer for 20 years before coming to photography in the 1990's. 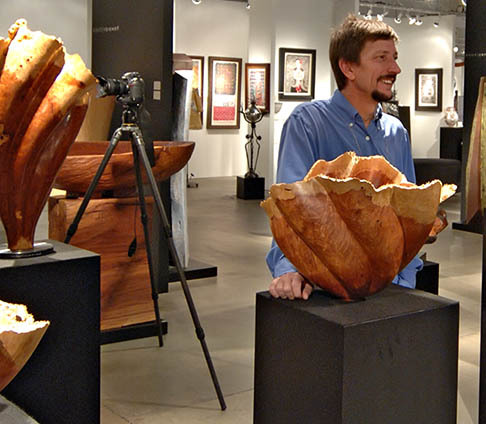 Mark Lindquist is best known for his significant contributions to the American Studio Woodturning / Wood Sculpture movement that gained serious momentum during the mid-1970's. 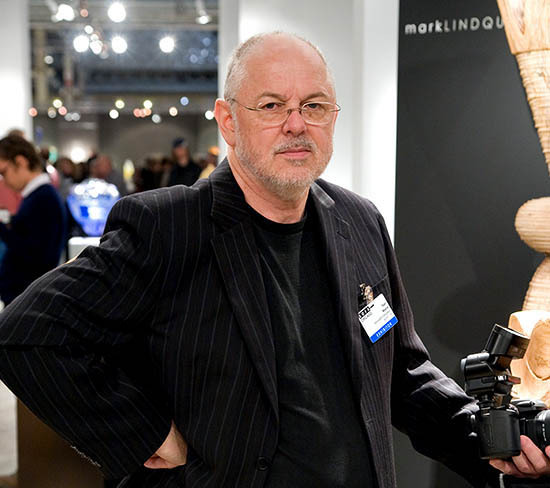 Throughout his 40 year professional involvement as a renowned wood sculptor he has been committed to photography and has worked semi-pro, occasionally, over the years on special projects. Currently he owns and operates Lindquist Studios, in Quincy, Florida. In the late 1970s, Mark Lindquist was photographic assistant on the project to duplicate the Oval Office Desk for the JFK Memorial Library in Boston, Massachusetts. 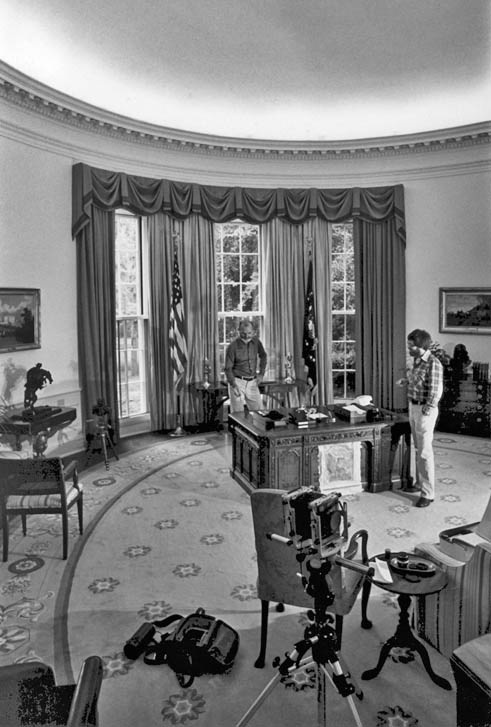 He helped to photograph, measure, and pattern the desk which was subsequently made by the renowned master craftsman Robert Whitley of Bucks County, PA.
Robert Whitley (left), and Mark Lindquist (right), circa 1978, Oval Office, White House, Washington, DC.